Whether you are looking to renovate your bathroom, ensuite, powder room or laundry, we will work personally with you to create a room that is tailored to your lifestyle. We use only high quality licensed trades and our company has many years of extensive experience in waterproofing and Bathroom Renovations. we provide guaranteed quality workmanship with high quality bathroom ware from one of our known and trusted suppliers. We can do the below and more! Our highly skilled and fully licensed team have decades of experience in the Canberra bathroom renovation industry. When you book a complete bathroom renovation with us we take care of everything. Including design, building, supply and installation. We can manage all the required trades such as plumbing, waterproofing, tiling, shower screens, gyprocking, rendering, electrical and more. All you need to do is sit back and relax. 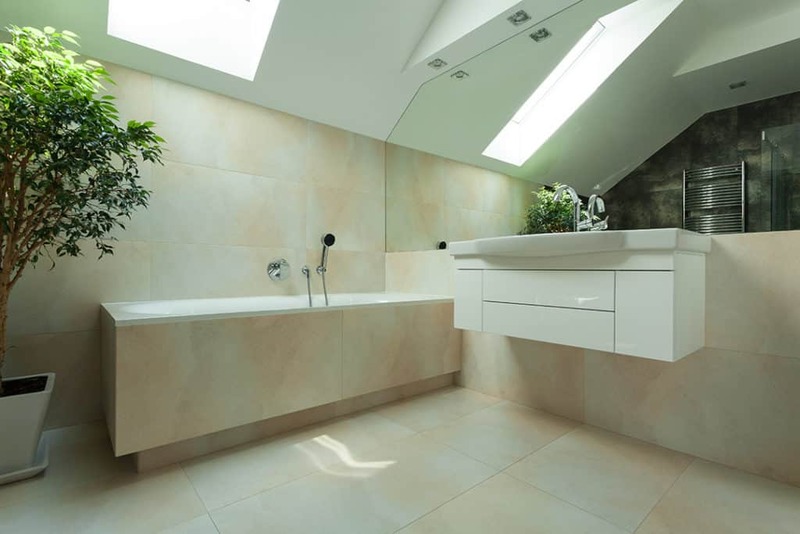 When only the best will do – call the bathroom renovation Canberra professionals! We use proven bathroom designs to ensure your bathroom renovation is functional and superb. More importantly, we make sure your finished bathroom renovation is exactly what you want! Our Canberra bathroom renovators create custom bathroom designs to suit your home and lifestyle. Our bathroom designs include modern, contemporary, traditional, and even custom designs to suit your liking. The structure of your bathroom can be totally changed by demolishing and relaying plumbing (if needed). These transformations end up being very rewarding in the end. If you are faced with an outdated Canberra bathroom, an unsightly colour scheme or simply want to enjoy the comfort of a modern bathroom, give us a call to discuss your options. This is one of our most common requests so speak to the experts today. Modern bathrooms have a sleek finish and create a unique atmosphere. Our clients are always surprised at how much change can be accomplished. With a little creative design, a selection of bathware, tapware, basins and vanity, and our professional advice we can create bathroom renovation masterpieces. Our bathroom renovations Canberra team produce modern bathrooms at affordable prices. Are you looking for a standout designer bathroom? Have you seen a designer bathroom in a magazine that you want? Our highly skilled bathroom renovation team can create the designer bathroom you are looking for. You can source your own bathware, tapware, fittings and fixtures and we can do the rest. Alternatively we can supply everything needed for your designer bathroom. We have access to a range of local and imported bathroom supplies to allow us to offer fantastic prices. We love luxury bathroom renovations. There is nothing quite like the sensation of indulgence when you step into a luxury bathroom, ready to take a long hot soak in the spa bath. Creating a luxury feel in your bathroom is not always easy. You need the perfect combination of superior craftsmanship and exceptional bathware. Our Canberra bathroom renovators bring their many years of experience in the industry to deliver just that. Speak to us to find out how we can bring luxury into your next bathroom. 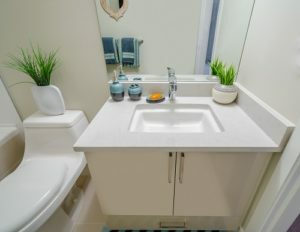 Is your current Canberra bathroom looking dull, tired and lifeless? Maybe it has a crazy colour scheme and looks like something from the 80s or 50s! Sounds like it’s past its use by date and it might be time to remodel that outdated bathroom. A bathroom makeover can be as simple as adding new tiles to give your old bathroom a new life. Or it could be as complex as a total makeover with a demolish and rebuild. Whatever your reason may be, allow us to transform your existing bathroom, ensuite, or laundry with a bathroom makeover. We have thousands of bathroom ideas to call upon to find one best design for you. A bathroom makeover can transform your current bathroom from a disaster into a showroom masterpiece. Canberra’s Eastern Suburbs, Inner West and North are home to many tiny terraces. Fortunately our team bring their years of experience to every bathroom renovation job. We get creative with our designs to give you the feeling of more room and improved functionality. Your bathroom is one of the most expensive rooms in your home to renovate. Fortunately, we provide you with superior service and skills without breaking the bank. Good old real value for money. Even though our complete bathroom renovation prices are very impressive, we still maintain our high standards. I highly recommend the whole team at Local Bathroom Renovations. From the beginning through to completion we found our bathroom renovation to be an extremely pleasant, efficient and stress-free experience. We engaged Local Bathroom Renovations for our main bathroom, ensuite and powder room in 2016. The team were fantastic from start to finish! Super friendly, always on schedule, incredibly accommodating and always left the work site clean and tidy. I was initially confused about what design would best suit my house. 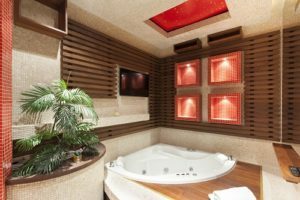 After a friendly and detailed discussion with Local Bathroom Renovations team, I was able to make an educated decision on what I wanted and what was the best choice. My bathroom looks fantastic and I am glad I chose you and would certainly recommend them to anyone.